The Gallisá Brothers, the eternal brown belts. 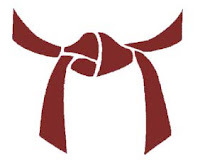 The Gallisá brothers were the most senior brown belts in the dojo. One was tall, bearded and zen like, the other was short, clean-shaven and hectic. Brothers in name only, and very young. They were senior brown belts when I came in and senior brown belts when I left. In the same span of time I made green, and as I would see later on in other schools guys would go from white to black. Years later when talking about this time, other black belts would confirm that that initial cadre of brown belts in the Ochoa Dojo were really black belts held back. In fact, I could count in one hand the black belts I trained with that were maybe as good as they were. I definitely am not nor ever was. The truth is they were held back. The reason? Many. Foremost I believe was the inexperience of the sensei in dealing with an expanding dojo membership that could imply an opening up of the initial Shinoda group. I also believe that the Shoreikan organization would want to have a say since they would be the first black belts graded by Puerto Rican sensei. Economics I suppose also played a role since then the dojo was a "good" business. It could also have been the Shoreikan crisis in New York where there was a split and everything was put on hold. All speculation because the sensei (Gusi, Tony, Efraín) said little about the internal politics of the dojo to anyone. Because in essence, I believe, they thought of themselves as the dojo and the rest of us were just there learning karate (or were we?). For example, I was a green belt and knew very little of what I was doing beyond the obvious. Of course, I was strong, could take a punch, do the Go of things, but Ju was only whispered in passing. Now I see that the dojo was a quasi-japanese affair of inner initiates, but then, of course, I didn't know enough to see it as a problem. They basically did not want to initiate anyone solely on merit, it was by invitation only. This is not to belittle all that I did learn, and it was a lot, but this clique mentality, however justified then or now, contradicts the open dojo scheme of western karate training. This conflict of purposes afflicted the dojo then as it afflicts many dojos now. There is no easy answer to this. But because of it, two very good karatecas got waylaid. Many years later I was told they left as the Ochoa Dojo passed from one organization to the other. I saw the tall one once selling fruit in a stand by the road, the other I recently heard had died. I've read a lot lately about the crisis in traditional karate schools like mine and some espouse, maybe honestly, that it should go back to that Miyagi invitation only time frame, but probably the person who says this would not have been "invited." He or she just probably walked into a dojo and asked to join. And if it were by invitation I wouldn't be here now writing this and musing on 30 years in Goju.